There has been a spate of charitable giving in my household recently. My girls have just come back from a 10km run, supporting a charity close to our hearts. There have been trips to Naomi House with clothes that no longer fit and toys they’ve outgrown. On the global scale, we’ve seen disaster appeals for the earthquake victims of Nepal and the refugees fleeing Syria. All of these donations were made with Gift Aid which help the charities get more income and may allow us to make savings (by claiming tax relief via the tax return). These savings can in turn be channelled into further charitable donations. 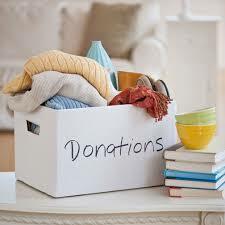 There will always be worthwhile causes for charitable giving and this blog provides helpful tips to making your donations go further as well as pointing out whether you are eligible to claim tax relief on your donation. The information below is useful to sole traders and individuals. There are different rules for Limited Companies which you can look up here. If you make a donation under Gift Aid to a registered charity, you are deemed to have paid the donation net of basic rate tax and the charity will be able to claim back your tax from HMRC. This means they can claim an extra 25p for every £1 you give. The donation doesn’t have to be by cash or card, a donation of clothes can be made to charities under Gift Aid. When you make the Gift Aid declaration you will need to confirm that you have paid or will pay an amount of tax for each tax year that is at least equal to the amount of tax that the charity will reclaim. If you haven’t paid the relevant amount of tax you would have to pay the shortfall over to HMRC. How much does the charity actually get from a donation? 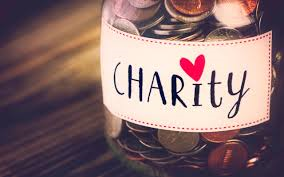 It’s easy to donate via online fundraising sites such as Just Giving or Virgin Money Giving but few are aware that these sites charge the charities an administrative or transaction fee for processing your donation. These charges can range from 3.5 to 5% of each donation and can make a difference to the overall amount a charity receives. Some sites may also charge fees for using a particular credit or debit card which will again dent your donated amount. 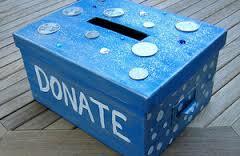 As a sole trader can I treat a charitable donation as a business expense? If you make a donation out of your business funds, you won’t be allowed to deduct this as a normal running cost to your business. Instead the amount would be deemed to be private expenditure (drawings). Are there any ways to claim tax relief? If however, you are a higher rated tax payer you may still be able to claim tax relief via your self-assessment return. The tax relief that you can claim is the difference between the basic rate tax relief (20%) that the charity has already claimed and the higher rates of 40% or 45%. You can claim your tax relief by ticking the box “yes” to “having paid donations” and then recording the amount of donations in the main Charitable Giving section of your tax return (not the self-employed section). If you are not completing a self assessment tax return you can ask HMRC to amend your tax code. In your self-assessment return you normally only report things from the previous tax year. You’re not paying higher rate of tax in the current year but you did in the previous year. Your donations for both tax years together must not be more than 4 times what you paid in tax in the previous year. The next time you sponsor your friend or partner to cycle to John O’ Groats or to run the London Marathon dressed as a Rhino don’t forget about Gift Aid and keep records of all your donations. If you’ve enjoyed this post and found it helpful, please use the icons below to tweet, like or share and if you’d like more helpful tips and inspiration you can type your name in here.